BINDING PATH: For the archaeon Sulfolobus solfataricus’s mini chromosome maintenance helicase (SsoMCM), high-resolution mass spectrometry monitors the rate of deuterium uptake for free protein compared with DNA-bound protein. 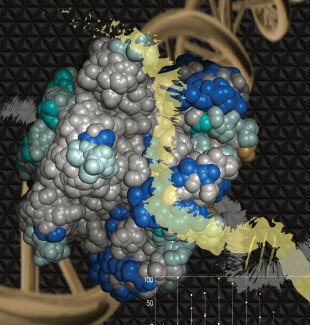 The differences (shades of blue) can then be mapped back onto the protein structure to identify putative binding paths for single-stranded DNA (yellow) on the exterior surface of the SsoMCM helicase.MICHAEL TRAKSELISMass spectrometry is today’s go-to technology for proteomics research. The technology makes it relatively straightforward to identify and quantify proteins across a range of samples, as well as to detect the posttranslational modifications that so often govern their behavior. Such studies tend to treat proteins as isolated entities, effectively inventorying them on an organelle, cell, or tissue scale and drawing inferences from the way those tallies change across conditions. But proteins rarely act alone. Proteins often aggregate into large multiprotein complexes, for one thing. (See “Cracking the Complex,” The Scientist, November 2015.) They also bind to small molecules, lipids, and nucleic acids. The Scientist asked researchers who have applied mass spectrometry to a number of such interactions for the lowdown on their techniques. APPROACH: Helicases are ringlike DNA-unwinding enzymes through which one strand of nucleic acid passes, like thread through a needle. But where does the second strand go? Trakselis’s team originally attempted to map protein-DNA contacts in SsoMCM complexes using what he calls a “hunt-and-peck–type approach”—mutating specific protein residues one by one and monitoring the impact. But that was tedious, he says. 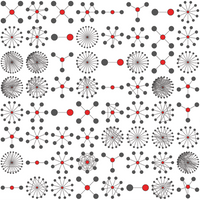 He wanted a global approach that could scan the entire protein sequence simultaneously. His solution: hydrogen-deuterium exchange (HDX) mass spectrometry. HDX monitors the accessibility of protein residues to the solvent that surrounds them by quantifying changes in the ability of amino acids to exchange protons with their environment over time. The experiment starts by placing the protein and DNA in deuterated water in the absence of ATP; the lack of molecular energy immobilizes the complex. After waiting up to four hours for exchange to take place, the protein is digested into peptides, which are then sequenced in a mass spectrometer. Protein regions that are bound to DNA will be less solvent-accessible than those that are not, a difference that is marked by the presence or absence of a 1 Da mass shift in the peptide bond (J Biol Chem, 291:12467-80, 2016). “If DNA binds to a site, then that amide proton is no longer freely exchangeable,” Trakselis explains. By mapping those locations onto the protein’s 3-D structure, sites of interaction become clear. Even low-end mass spec machines can easily detect such differences, assuming the signal is strong enough. But SsoMCM is built of six identical subunits arranged in a ring. 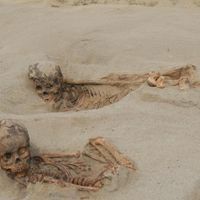 At most, Trakselis says, the DNA would interact with one or two of those. “We needed a high-resolution instrument just to really get above that background of redundancy.” So he applied for time on one of the world’s most powerful detectors, a 14.5-Tesla Fourier transform ion-cyclotron (FT-ICR) mass spectrometer at Florida State University’s National High Magnetic Field Laboratory, which found the project compelling enough to agree to a collaboration. Using this instrument, Trakselis was able to probe more than 98 percent of the protein sequence in one go. The data suggest that the second DNA strand makes specific contacts with the outside of the helicase ring, as opposed to just hanging there like a floppy noodle. “[The helicase is] really grabbing hold of both strands,” he says, “but it’s doing it in two locations.” Now, he hopes to exploit those data to develop new models of enzymatic activity and to identify potential targets of anticancer therapeutics. A LITTLE ORBITRAP’LL DO YA: FT-ICRs are exceptionally powerful, but also expensive and hard to come by. The biggest and most powerful are housed in dedicated national facilities such as the FSU MagLab and the Pacific Northwest National Laboratory. Trakselis says he only used one because of the unique requirements imposed by SsoMCM. Other helicases, which comprise six different subunits, could likely be solved on more widely available (but still high-end) Thermo Fisher Scientific Orbitrap mass specs, he suggests, as it would be easier to distinguish signal from noise. APPROACH: Macrophage activation leads to inflammation, and is tightly regulated on several levels. Among other things, protein binding to key mRNAs can regulate the macrophage’s ability to read out specific genetic instructions, including those that produce cytokines. But which proteins perform that role? To find out, Ostareck and his team used mRNA interactome capture. First described in 2012 by Ostareck’s collaborators Matthias Hentze and Alfredo Castello of the European Molecular Biology Laboratory, this method involves cross-linking protein-RNA complexes using ultraviolet light and capturing those complexes that contain polyadenylated mRNAs. 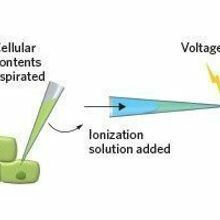 The captured material is then treated with proteinase (to isolate RNA) or RNase (to isolate protein) and analyzed by deep sequencing or liquid chromatography–coupled mass spectrometry, respectively (Mol Cell Proteomics, 15:2699-714, 2016). Comparison of this data set with other published studies identified 32 proteins that appear to be macrophage-specific, Ostareck says, 19 of which had no known link to RNA, including the enzyme P23, a prostaglandin E synthase. P23 binds to mRNA strongly in untreated macrophages, but less so in activated cells. That, Ostareck says, suggests the protein plays a role in mRNA translation control and/or stability regulation—a hypothesis his team is now investigating directly. MAPPING DOMAINS & TRANSCRIPTS: There’s more than one way to skin a protein-RNA complex, of course. Using RNA immunoprecipitation and deep sequencing, researchers can identify the targets of specific RNA-binding proteins. And using a modification of the interactome approach, called RBDmap, they can map the specific protein domains that actually contact the RNA transcript itself—a strategy Hentze and others recently demonstrated in cardiomyocytes (Cell Reports, 16:1456-69, 2016). 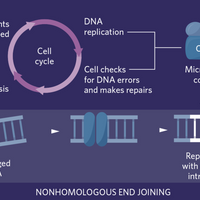 “This is the next important thing,” Ostareck says, “to find both the mRNAs which are bound by the proteins, and especially those mRNAs which are specifically regulated.” From there, he says, it may be possible to disrupt this regulation to modulate the inflammatory process itself. APPROACH: Some labs study metabolism, others study epigenetics; Meier studies both. “Our goal is essentially to understand the underlying biology that connects metabolism with epigenetic signaling,” he says. Specifically, how do changes in metabolite concentrations influence gene expression? Fasting, for instance, leads to elevated levels of the small-molecule metabolite coenzyme-A (CoA). CoA is a negative inhibitor of lysine acetyltransferases (KATs), a class of proteins that alter gene expression by “writing” epigenetic marks on histones. “However, because of a lack of methods for looking at [KATs] directly in proteomes, researchers don’t really know which acetyltransferases this mechanism is talking to,” Meier says. His team developed a chemical proteomics strategy to work that out (J Am Chem Soc, 138:6388-91, 2016). Rather than express and test each enzyme in vitro, Meier’s team went fishing. For bait, they used lysine-CoA, a KAT inhibitor that interacts with the enzymes’ acetyl-CoA binding site. 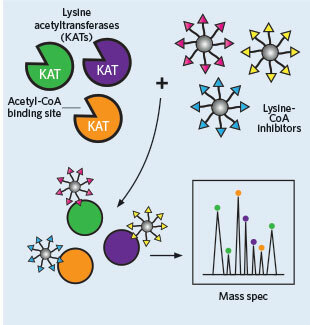 Conjugation of Lys-CoA to tiny beads enables KATs to be enriched from eukaryotic cell extracts and identified via peptide sequencing on an Orbitrap mass spectrometer. To assess those proteins’ susceptibility to CoA feedback regulation, they compared the enzymes’ affinities for either CoA or acetyl-CoA using quantitative Western blotting. They hypothesized that KATs susceptible to feedback inhibition may bind CoA more strongly than acetyl-CoA, Meier explains. One newly discovered enzyme, called NAT10, fit the bill, exhibiting an affinity profile indicative of feedback regulation. “This is really a hypothesis-generating tool,” he says. PROBE DESIGN MATTERS: Meier says chemical proteomics provides a platform that is not limited to KATs. But good probe design is required. Lysine-CoA, he explains, is just a starting point for KAT purification, capturing about 9 of 30 known cellular KATs. By modifying that probe, the researchers recovered an additional 14 enzymes. In the case of KATs, he says, that strategy could facilitate a novel screening strategy. “Could you basically use this approach, where you tether CoA to a peptide that essentially represents a target where we don’t know what acetyltransferase modifies it, and now start to pull out candidate enzymes that might catalyze that modification?” Work to answer that question is ongoing. APPROACH: Generally, proteins are digested into peptides prior to mass spectrometry. Such treatment simplifies analysis, but it also eliminates any possibility of decoding macromolecular complexes. (See “Birds Eye Proteomics,” The Scientist, July 2014.) “When you chew it up, you really have no idea what you have in the tube, besides the sequence of the protein,” Laganowsky explains. An alternative is native mass spectrometry, which analyzes protein complexes in their intact forms. Laganowsky learned that technique as a postdoc in the University of Oxford laboratory of Carol Robinson, who pioneered the field. But he had to tweak it before he could apply it here, as Laganowsky is interested in understanding the molecular forces that drive protein-lipid interactions. And those are influenced by temperature. MACHINING NOT REQUIRED: Mass-spec customization is often expensive and technically difficult. Not so with Laganowsky’s temperature control system. The original prototype involved basically a temperature controller, a few CPU fans and power supplies, cardboard, and tape. “Some of my colleagues laugh when I tell them this,” he admits, “but it’s relatively cheap to do and it requires no modification of the instrument.” And, he adds, there’s no reason the same approach wouldn’t work for other classes of macromolecules, too.